← Supporting your School has Never Been Easier! 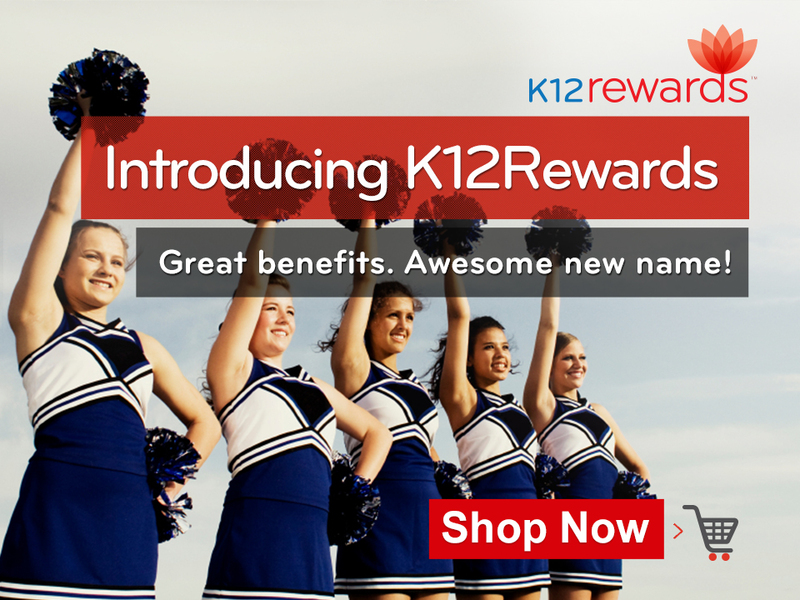 We are excited to introduce to you the new name of online fundraising–K12Rewards! We are still the fun, exciting fundraising platform you know and love, but with a new name. You’ll still be able to earn the same great rewards for your family and your school—just under a new name. Our blog, Facebook, and Twitter names are now K12Rewards, but will still feature the same great deals and information about how to make supporting your school easy and fun. All we did was change our name, so you don’t have to worry about re-following us! If you’re a member of our program and get an email from K12Rewards, don’t delete it–that’s us! We look forward to all the ways we can work together in this upcoming year to support our school and make fundraising easy and fun. Remember that you can earn money for your school through K12Rewards any time by online shopping or by making a direct donation. And make sure you’re following K12Rewards on Facebook, Twitter, Instagram, and Tumblr to stay connected to all the exciting things we are doing! K12Rewards…the new name of online fundraising!